Winner and final words can be found here. Well, here we are. THIS. IS. IT. The two week nomination period, followed by almost three weeks of the main competition, and it's all boiled down to one poll. 1. Two episodes go head to head for 24 hours. The episode that emerges as winner will go through to the next round. 3. Tell others about the competition. 4. Be respectful. This is a competition, but be friendly. 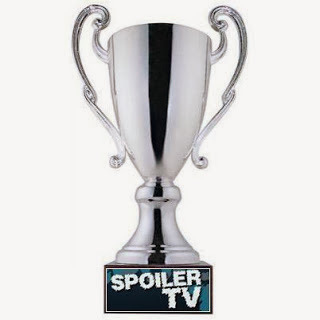 The episode that I tipped to win the tournament from the very beginning, The Mentalist's 'Blue Bird' faces Beauty and the Beast and its 'About Last Night'. Both have large fanbases on the site. The question is, which will triumph in the final? The poll will close at 3PM BST on Wednesday (you may find a countdown here). Many of you, like myself, don't have any interest in this final as all of your show's episodes have gone out. Instead, tell us what you'd have liked to see win the competition. Don’t forget to share the poll; the more people vote, the more chance your episode has of winning! Check back tomorrow to see who won! 15 year old in England. I'm a big TV fan, with my range of shows almost exclusively dramas. Some of my all-time favourite shows include 24, LOST, Breaking Bad and Friends. Some of my current favourites include Person of Interest, Arrow and The Walking Dead. I review Person of Interest and 24: Live Another Day for Spoiler TV. I also run an Arrow blog, ArrowFansUK, as well as my own tv blog. Aside from TV, I'm a keen cricketer.